Though the landscape of Pakistani media — electronic and news media — in the country has expanded and dozens of Pakistani media outlets have been providing news 24/7, but to maintain authenticity and sanctity of news, it is imperative for media outlets to do fact-checking and cover the news in a comprehensive and holistic manner. This was the main crux of the session titled ‘From passive to proactive: Promoting media literacy in Pakistan’, at the first Adab Festival Pakistan under way at the Sindh Governor’s House. Speakers discussed various aspects of the current media landscape in Pakistan, the importance of media literacy, fake news and fact-checking and other related issues. Former federal information minister Javed Jabbar stressed the importance of media literacy, saying that Pakistani residents had rights to access, analyse and produce information for specific outcomes. “Pakistani media consumers should know who are shaping the media landscape, who are the owners of the media outlets, what are their current and past political affiliations and what are their other businesses,” he said. He said that civil society organisations should come forward to help the media in increasing media literacy among the consumers. Noted journalist Zarrar Khuhro said that the phenomenon of fake news was dangerous but the good thing was that there were ways and techniques to combat phony news and reduce the spread of fake news. “Every threat has an opportunity,” he said, saying that the trend of quality- checking in processing information had now been increasing among the Pakistan media. 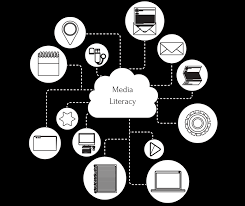 Tasneem Ahmar, a journalist who founded the Uks Research Centre, said that there was a need to institutionalise media literacy within the existing education system. “Now, I think it is important to teach children about the media literacy in the school textbooks,” she said. Senior journalist Wusatullah Khan said that to analyse fake news, it is important for media persons – whether they were field reporters, anchors or desk editors – to study newspapers and books and watch other media. Journalist Farieha Aziz moderated the session.